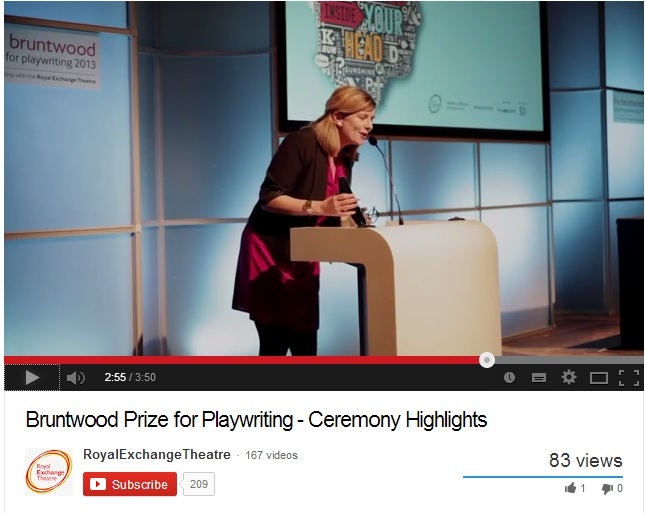 Anna is thrilled to have won The Bruntwood Prize for Playwriting 2013 with her play YEN. 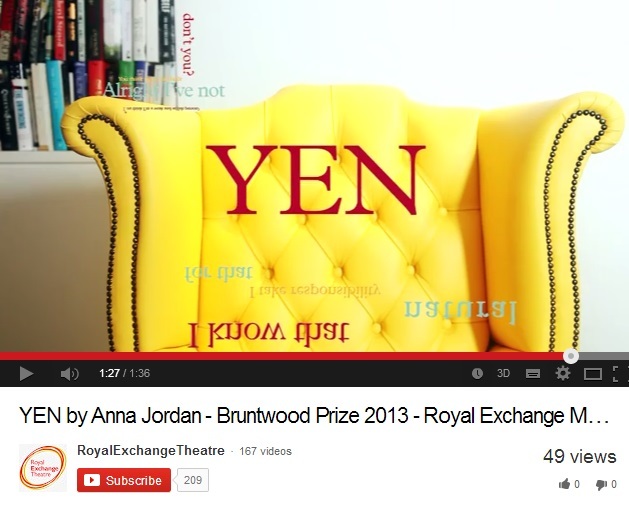 Also Marianne Elliot said about YEN “It really gets under your skin. It’s incredibly vivid and really upsetting, but in a brilliant way. You get to know and feel for these characters but you’re also aware of the statement this writer is making about the state of the nation.” Watch the award ceremony highlights here. 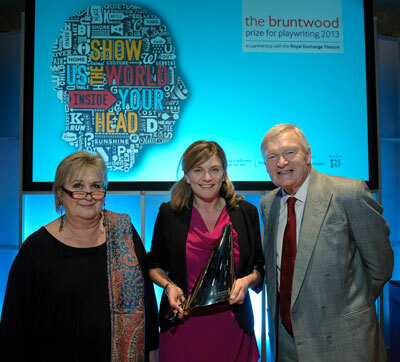 A further three Judges’ Awards were awarded to Bird by Katherine Chandler, Rolling Stone by Chris Urch and So Here We Are by Luke Norris, who each receive £8,000.